Rhannon is deeply committed to empowering people to unlock their performance potential. She believes in an interactive and learn-by-doing approach and the fundamental value of respecting and cultivating individual and team strengths for performance. Rhannon McMillan is the founder and CEO of FOCUS4 Communications. FOCUS4’s mission is to help entrepreneurs and senior executives to develop and grow their business internationally. FOCUS4 provides training and coaching in several areas of expertise including effective communication strategies, leadership and entrepreneurial/intrapreneurial projects. Specializing in coaching for entrepreneurs and executives, Rhannon accompanies in 3 principal areas: Communicating to Convince (Pitch), Project Coaching, and Leadership. She has coached and trained over 6000 people of 60 different nationalities in over 30 countries. An Entrepreneur for over 25 years, Rhannon is originally from the United States, she started her career by founding a women’s fashion luxury store and built the business into a $16 million 10 store and 70+employee luxury retail business. 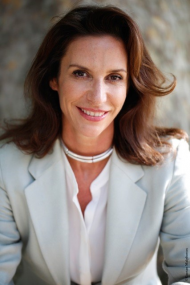 She served as a marketing consultant for Baccarat and VP business development for Escada USA. Rhannon served as Program Director at the CCI Incubateur for 6 years in Paris, France. She holds BA degrees in Linguistics and French and a TEFL certification from San Diego State University. She has received diplomas in Fashion Design from the Accademia Italiana della moda in Florence, Italy and in French Literature from the Sorbonne University in Paris. Certified in MBTi, LEAD Situational Leadership, TetraMap, Business Model Masterclass, Value Proposition Masterclass, IDI (Individual Directions Inventory) and NLP. TetraMap is a great tool to create an atmosphere of trust and growth. It is a surprisingly simple yet accurate tool which gives great insight into the dynamics of individual and team behaviours in a fun, memorable way. It helps to understand other’s behavoir on a new level. TetraMap helps individuals to better adapt their Pitch, create more positive interpersonal relationships and reinforce effective managerial skills. For a new team, it propulses them on the right track to create better working relationships and performance. For a struggling team it will establish building trust and re-center constructive dialogue. As one of my participants told me: It is like getting a tool to enable to see other people in 3D rather than the 2D image we sometimes get from judging others by our own personal values, standards and preconceived ideas. I’ve used TetraMap with individuals, small and big groups all over the world. It just works in every context by making a complex topic simple and dynamic. I have a much greater understanding of topics that I was already familiar with. This was down to the style and approach Rhannon adopted. Rhannon’s approach was relaxed yet focussed and engaging. The principle of ‘less is more’ really shone through with the presentations – I don’t think I’ve ever learnt so much from so little ‘data’ – it was almost as if we were being trained by stealth!